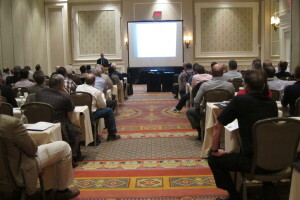 Joe Smith of PDC Presented a talk titled “Determination of Wellbore Orientation in the Utica Shale of Southeast Ohio.” We had great attendance and a big thank you to the Ohio Oil and Gas Association for there generous support of this event again this year. 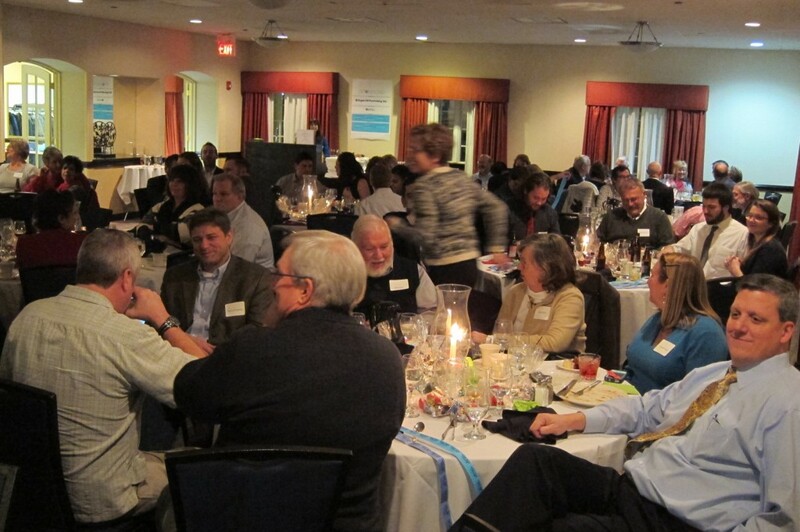 The March OGS meeting sponsored by OOGA. Thanks OOGA! 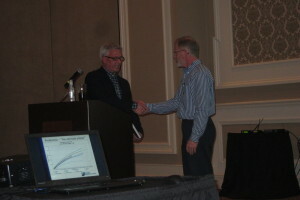 Vice-President, Mark Neese, presents Joe Smith with a speakers gift. Another sold-out event for the Society, as instructor, JP Fagan did an excellent job of weaving a detailed explanation of the power and efficiency of gravity and magnetic surveys. He also explained in a well-illustrated presentation the downfalls of data not properly acquired or processed. 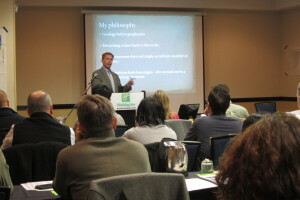 Thanks to JP for preparing an educational workshop. 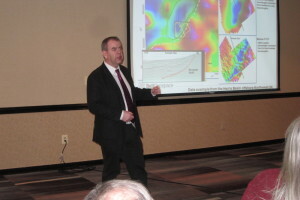 Colm Murphy, Chief Geoscientist for Bell GeoSpace, Inc, gave a well-illustrated and in-depth talk titled ” Air-FTG – Full Tensor Gravity Gradiometry: What it is and how is it being used to advance exploration programs”. This is a fascinating technology and has show examples of its application in southeast Ohio. More pictures found on the Society Facebook page. John Miller (foreground) taking in the evening. 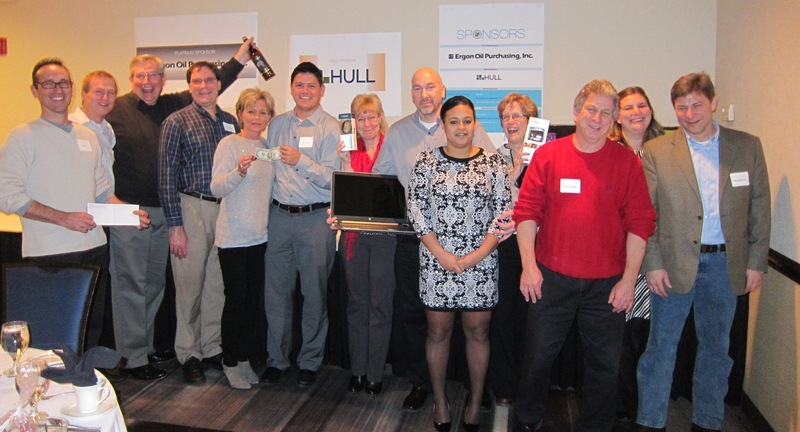 Raffle and door prize winners! 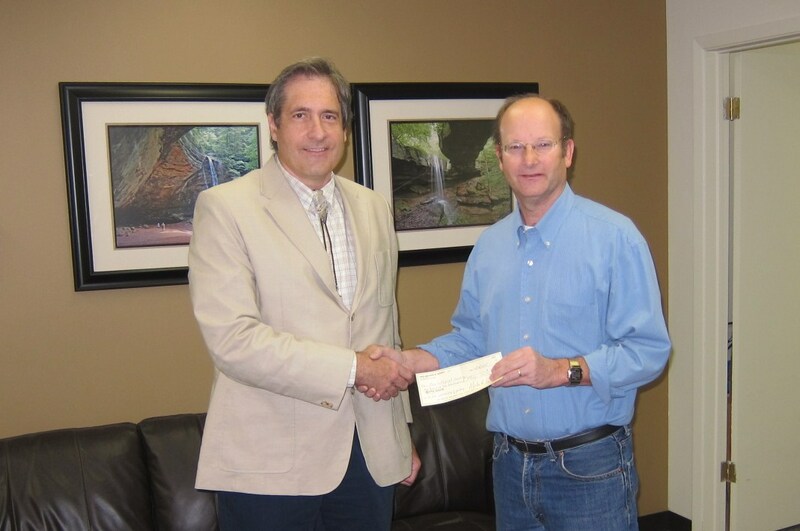 These funds specifically helped pay for the upgrade to a new, waterproof paper. 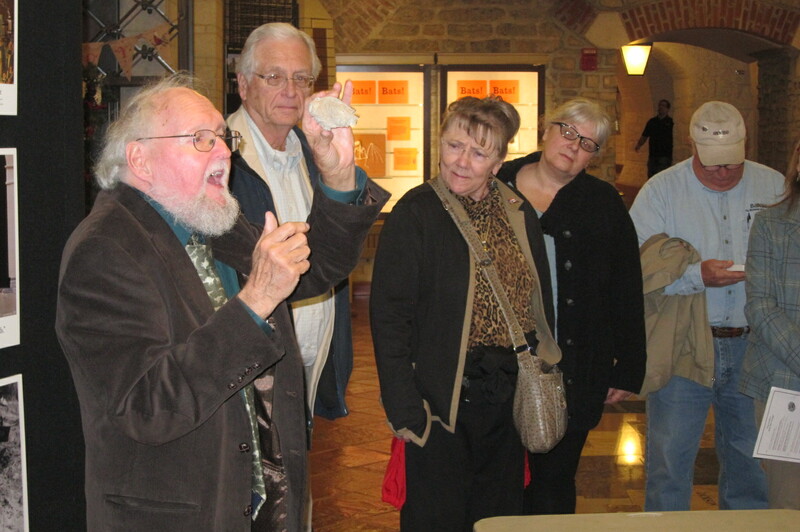 The proceeds were originally derived from a Devonian Shale Core Workshop held in 2014 and sponsored by the Ohio Geological Society. 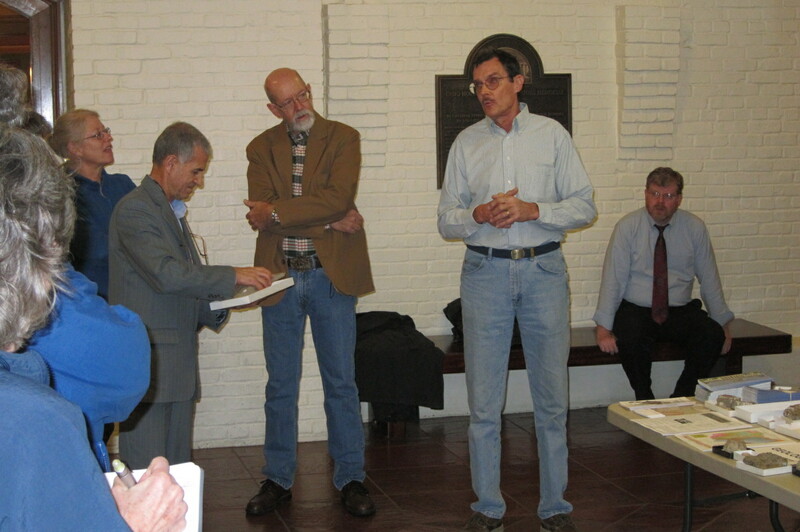 This workshop was spearheaded by John Wicks, former President of the Society. IC-63 systematically lists each formation and provides information on a long list of diagnostic features. 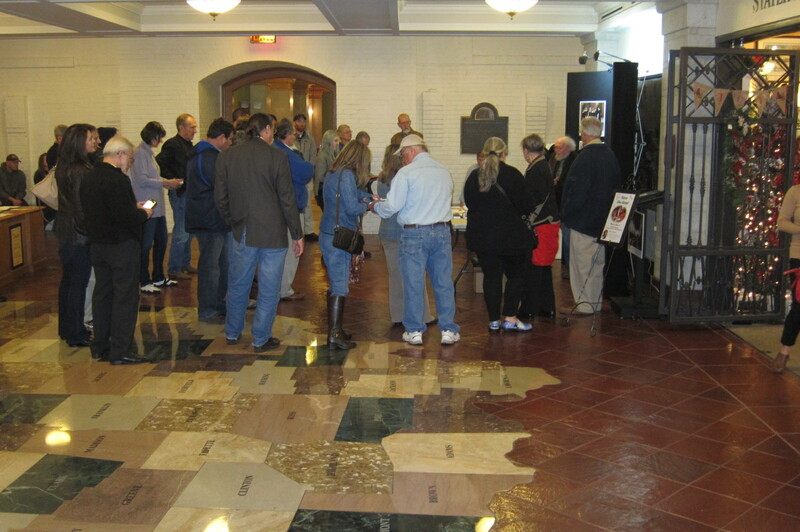 Vivid pictures of core and outcrop along with the colorful maps and illustrations help tell the story. Any geologist working with the surface or near surface geology of Ohio should have IC-63 in their library. Purchase IC-63 at the Ohio Geological Survey’s online bookstore at www.ohiogeology.com. 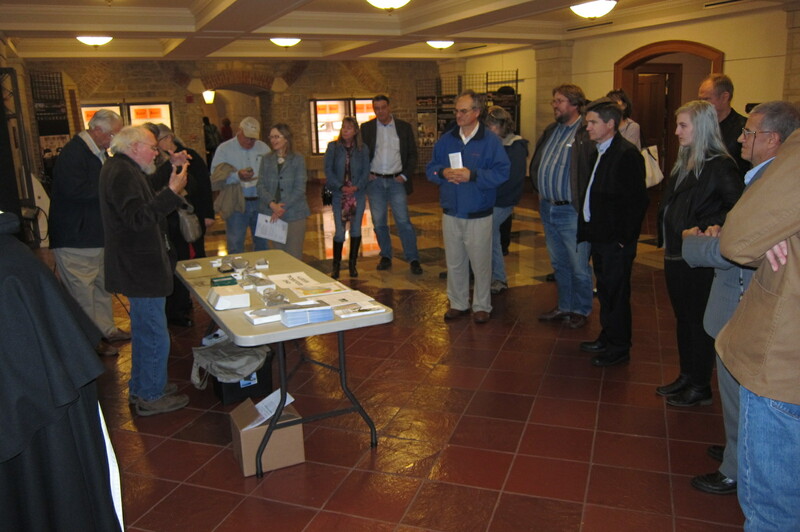 Dale Gnidovec lead 30 participants through the Statehouse while explaining the unique origin of the building stones their fossils. 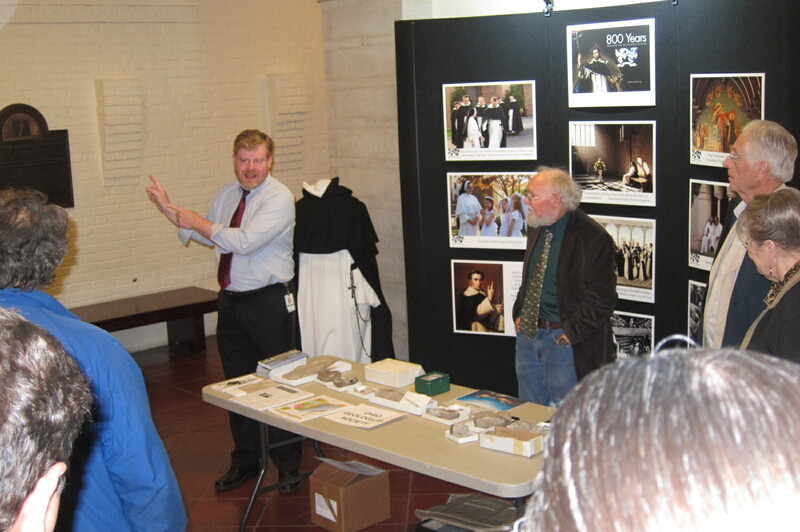 Mark Baranoski presented a brief history of a test hole drilled on the Statehouse property in 1859. 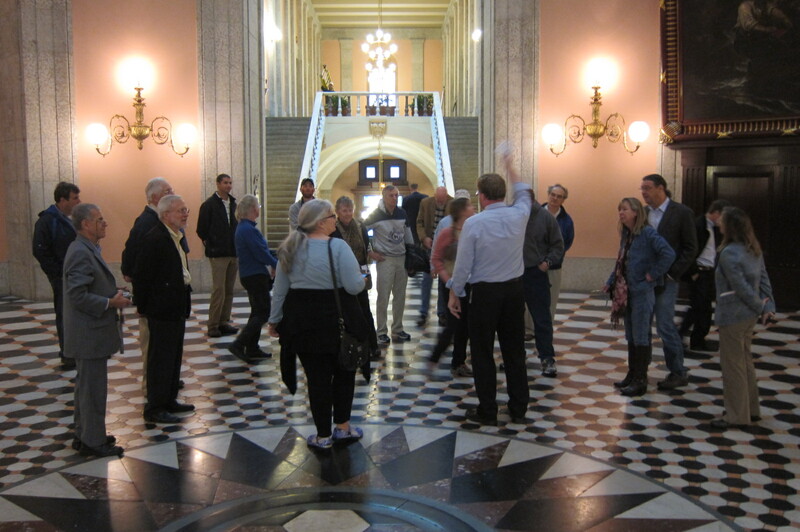 Mike Rupert, Statehouse Communications Specialist, discussed the rich history of the Statehouse, its construction and renovation. 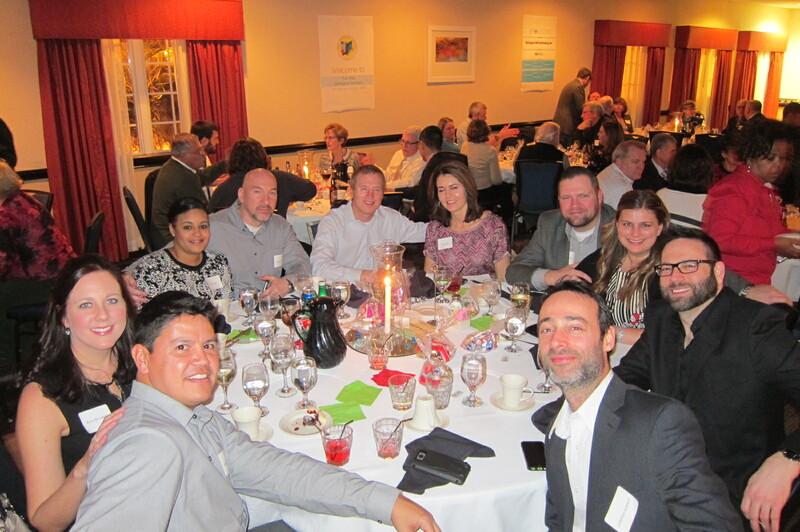 Thanks to all that turned out for this fun event.